Thank you for visiting Sonoma County Wingrowers! We’ve created this sitemap to help you better find and navigate this website’s content. If you are having trouble finding information, please contact us. The following are pages which make up the core website content. 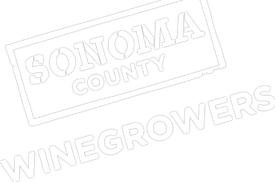 The following are posts or links to articles relevant to Sonoma County Winegrowers. Sonoma County Winegrowers Present 28th Annual Dollars & $ense Seminar and Trade Show! Summer 2017 Vine Times - Available Now! Sonoma County's Winegrowers & Farm Bureau Establish "Saralee's Sonoma County Ag Camp"
The following posts are user-created listings found in our Grape Marketplace. Pinot Noir grapes 4-5 tons Green Valley Portion of Russian River Valley.